For you, me, and almost everybody else you and I know, cost is a consideration when purchasing new camera gear. For others, cost is a secondary issue—if not a non-issue altogether. The following products represent the priciest camera gear we offer at B&H, along with a few words about what makes them so special. According to the rules, image sharpness and high pixel counts go hand-in-hand. Similarly, the dynamic range of the image—the volume of tone between the darkest shadows and brightest highlights—increases as the size of the sensor increases. This is why some photographers step up to medium format cameras. To that end, Leica’s venerable S2 Medium Format DSLR features a 30 x 45mm, 37.5MP CCD sensor that measures 30 x 45mm, about 56% larger than a full-frame 35mm digital camera. Though not much different in weight and mass compared to a Canon EOS 1d-X or Nikon D4S, the differences in image quality are immediately apparent when compared side by side. The Leica S can capture up to 32 37.5 DNG image files at 1.5 frames per second, and can sync with flash at speeds up to 1/1000, and up to 1/4000-second in HSS mode. The S2’s weather-sealed magnesium-alloy body fills the hand in a well-balanced manner. Like the overall design of Leica’s S2, the menus and controls are minimalist, intuitive, and easy to use, right out of the box. Leica’s S can be purchased in a two-lens kit containing a 70mm f/2.5 ASPH CS Summarit-S (56mm equivalent) and a 30mm f/2.8 Elmarit-S ASPH CS lens (24mm equivalent). A custom rolling case is included. In addition to the included 30mm and 70mm lenses, Leica currently offers a choice of a dozen Leica S-series lenses to fill your needs. Video buffs, you might prefer the Leica S (Typ 007), which adds 4K video @ 24 fps capture to the S2’s bragging rights. It doesn't utlize the entire medium format sensor, but having the ability to capture motion at that advanced resolution is a standout attribute. 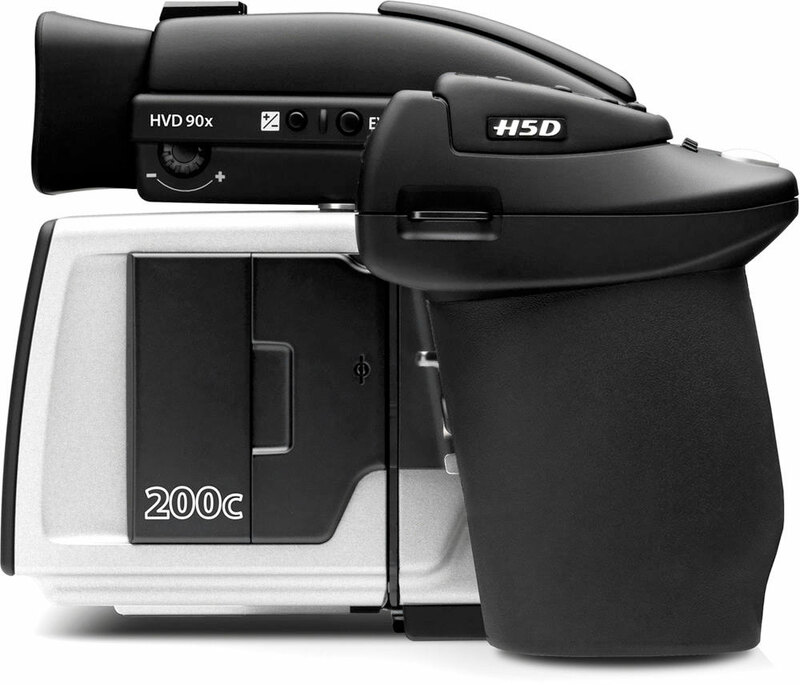 If image files in excess of 500MB float your boat, a Hasselblad H5D-200c is your ship of choice. The H5D-200c’s 50MP CMOS sensor is almost three times the size of a 35mm full-frame sensor. When capturing high-resolution images of static subjects in 4-shot mode (250MB RAW / 150MB TIFF), piezoelectric motors shift the H5D-200c’s 50MP (43.8x32.9) CMOS sensor in 1-pixel increments, capturing interpolation and moiré-free RGB image data. All of this data is then combined into a single mega-density image file. When set to six-shot mode (400MB RAW / 600MB TIFF), two additional half-pixel increments are captured for extended image detail. Single-shot exposures “only” yield 75MB RAW and 150MB TIFF files. 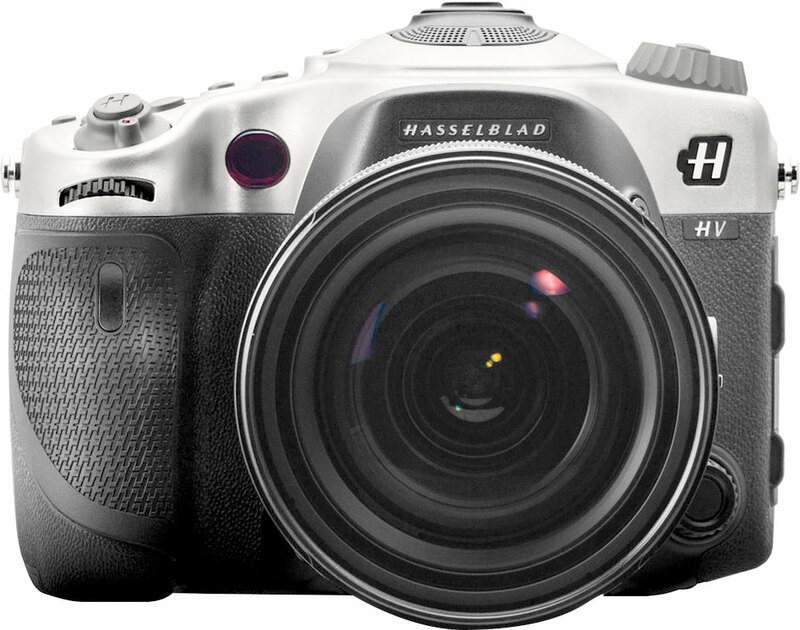 Hasselblad currently offers a full line of H-series lenses and accessories to go along with Hasselblad H-series cameras. For capturing maximum resolving power in single-shot mode, you can’t beat the Mamiya Leaf Credo 80MP 645DF. Packing a 53.7 x 40.3mm DALSA CCD imaging sensor, Mamiya Leaf’s 80MP 645DF makes use of dual-core microprocessors to bang out 80MB 16-bit RAW files (or 54MB compressed RAW) with dynamic ranges of up to 12.5 stops. Other features include a shutter speed range of 1/10,000 to 120-seconds, a 3.2" touchscreen LCD, an ISO range of 35-800, and PhaseOne software. Mamiya Leaf’s Credo 80MP 645DF includes a Mamiya 80mm f/2.8 LS D lens and is compatible with the full range of Mamiya 645 AF lenses and accessories. It's also available as a back-only with either a Mamiya 645 AF, Hasselblad H, Hasselblad V, or Contax 645 body mount. According to the rumor mills, Hasselblad’s recent spate of re-branded small-format cameras have been seen dangling from the shoulders of celebrities, near-celebrities, and at least one former president of a superpower other than the United States. While we reserve comment on these matters, we will confirm that Hasselblad’s latest APS-C-format camera, the Hasselblad HV, comes with the same 24-70mm f/2.8 Vario-Sonnar lens that comes with its less shiny, but equally robust twin brother: the Sony Alpha A99. We can also confirm that Hasselblad’s HV features a 24.3MP Sony Exmor CMOS 14-bit, full-frame imaging sensor that captures 14-bit RAW and/or JPEGs at speeds up to 10 frames per second. The HV can also capture full HD 1080/60p video with Dolby Stereo sound and features an external microphone jack. Other features include a solid, all-aluminum chassis, a 19-point TTL Phase detection AF system, an ISO range of 25―26.500, a 1,200-zone Evaluative metering system, and a 3" 1228k-dot tilting LCD complemented by a clear-as-glass 2359k-dot electronic viewfinder. The viewing system is identical to the state-of-the-art translucent mirror viewing system found in Sony’s flagship Alpha A99. As you should guess by now, the HV features a Sony A-mount and, as such, accepts all Sony A-mount lenses. Unique to Hasselblad’s HV, and not found on Sony’s Alpha A99, are extended titanium controls and a space-age, two-tone paint job sealed with a "hard-as-nails" Physical Vapor Deposition coating to keep the HV shiny and new-looking. If you have a penchant for shooting under abysmal lighting conditions, users of 35mm and most mirrorless cameras have a choice of ridiculously fast f/0.95 prime lenses in a choice of focal lengths. None, however, approach the wide-eyed detail Leica’s 50mm/0.95 ASPH Noctilux-M can muster out of the shadows, regardless of how nasty the light may be. Available in Black or Silver, Leica’s 50mm f/0.95 Noctilux is capable of maintaining frighteningly high levels of detail and high contrast under the harshest low-light conditions, even at maximum aperture. 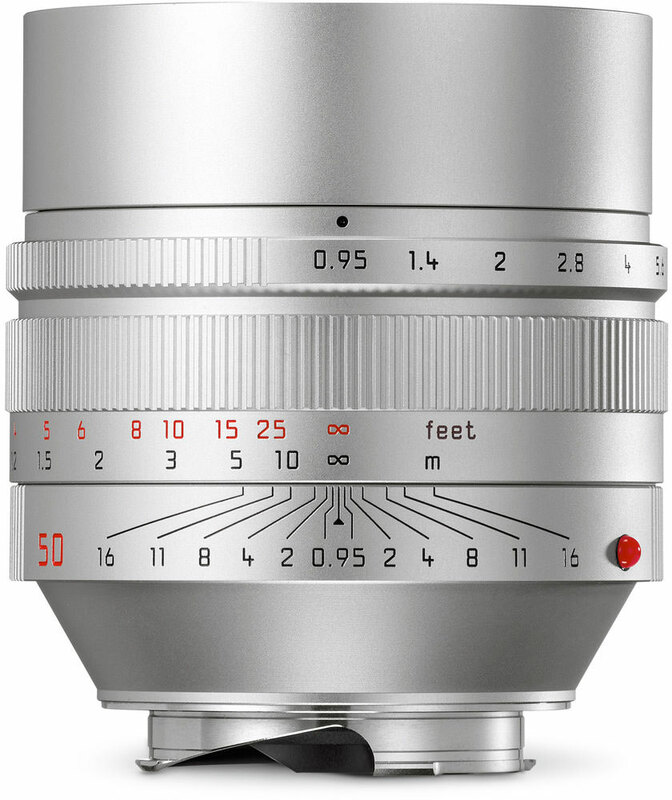 Leica’s fastest 50 features dual aspheric lens surfaces, five partial dispersion elements, three high-refractive glass elements, and a floating rear element. Leica’s sixth-generation 50mm Noctilux-M is reason enough to consider buying an M-series Leica, if you don’t already own one. 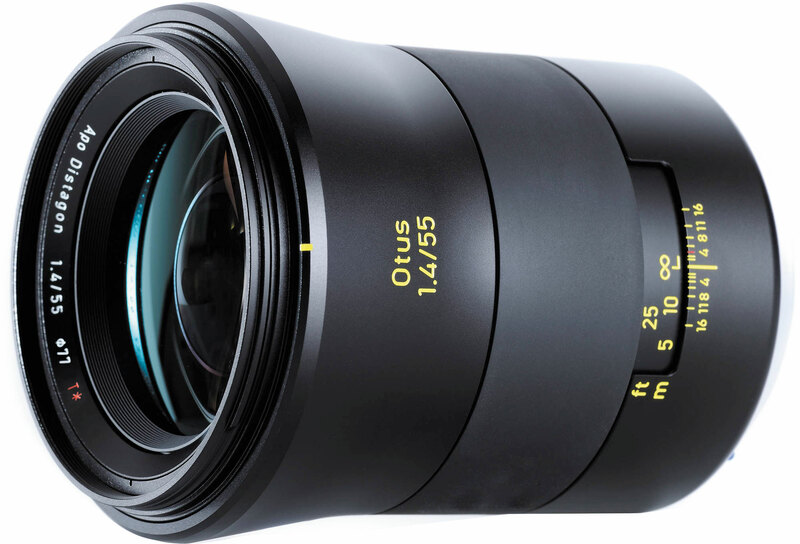 If you don’t mind focusing manually, some of the finest prime lenses you can mount on a DSLR or mirrorless camera are made by Zeiss, and the recent Otus-series lenses represent the company’s best efforts to date. Regardless of aperture and lighting conditions, you’ll be hard pressed to find comparable handling and optical performance from other manufacturers. Designed to cover full-frame (24 x 36mm) cameras, Zeiss currently offers two Otus prime lenses: a 55mm f/1.4 Otus Distagon normal lens, and an 85mm f/1.4 Otus Apo Planar short telephoto. Both lenses are available in mounts for Nikon and Canon DSLRs, and to almost any mirrorless camera via lens adapter. Zeiss Otus-series lenses feature an aspheric lens surface, anomalous partial dispersion glass elements, Zeiss T-Star lens coating, and a floating lens design. What you get for your money are chromatic aberration-free images that display little (if any) color fringing or artifacts, optimal contrast, and the smoothest of shadow-to-highlight transitions. Simply holding one of these lenses in your hands is an experience in itself. If you’re a fan of one-stop shopping when it comes to purchasing sharp, fast prime lenses, the Zeiss Five-Lens Kit should make your heart flutter. Available in mounts for DSLRs from Nikon and Canon, Zeiss’s Five-Lens Kit includes a Distagon T* 21mm f/2.8, a 28mm f/2, and a 35mm f/2 for landscapes, interiors, and street prowling. A Planar T* 50mm f/1.4 is also included for general shooting, and a Planar T* 85mm f/1.4 is present for portraits and other short-telephoto needs. To get all five lenses from here to there safe and securely, a hard-shell, waterproof, custom-fitted case is included. All five lenses can be readily adapted to mirrorless cameras via Nikon- or Canon-compatible lens adapters. Considering the build and resolving power of these Zeiss primes, this kit is a steal, especially when compared to the entry price of a single Otus-series lens. For capturing frame-filling portraits of lions, tigers, bears, owls, and eagles without the hassle of having to change lenses, we suggest Sigma's 200-500mm f/2.8 EX DG APO IF zoom lens. Reminiscent of a prop from a Jules-Verne-inspired stop-action movie I made back in high school, Sigma's 200-500mm f/2.8 apochromatic zoom lens is designed for both full-frame and APS-C format cameras. It maintains a constant f/2.8 maximum aperture throughout its zoom range. The lens features Special Low Dispersion Glass (SLD), three Extra Low Dispersion (ELD) elements, internal focusing, and an LCD panel that keeps you posted on what's happening on the other side of the lens barrel. Finished in a natty British racing green, Sigma's 200-500mm f/2.8 monster zoom weighs 34.54 lb (15.67 kg), which is why there's a handle on top. Included with every lens is a matching 2x teleconverter, which effectively turns the lens into a 400-1000mm f/5.6 superzoom, and a fitted trunk case. Sigma's 200-500mm f/2.8 EX DG APO IF zoom lens is available in mounts for Nikon, Canon, and Sigma cameras. If 200-500mm isn't up to snuff for your long-range needs, have a look-see at Sigma's 300-800mm f/5.6 EX DG APO IF HSM zoom lens, which in addition dual ELD elements and hypersonic AF motors, weighs a mere 12.91 lb (5.86 kg). Sigma's 300-800mm f/5.6 EX DG APO IF HSM includes both a clear and a polarizing filter, as well as a fitted case. Sigma’s 300-800mm f/5.6 EX DG APO IF HSM is available for Nikon, Canon, and Sigma lens mounts. The longest and fastest full-frame prime lenses currently in production have focal lengths of 800mm and open up to f/5.6, which is considered wickedly fast for a lens this long. These lenses represent the ultimate in precision mostly due to their narrow, 3.5-degree angles of view. At these magnification levels, there is little, if any, room for misalignment of lens elements, most of which are ED, aspheric, low dispersion, and other types of high-performance optical glass. Nikon’s AF-S Nikkor 800mm f/5.6E FL ED VR and Canon’s EF 800mm f/5.6L IS USM are the longest, fastest, and most advanced prime lenses from each of their respective manufacturers. Canon’s 800mm super-telephoto L-series lens weighs a surprisingly low 9.92 lb, which is less than Canon’s slightly shorter 600mm f/4 L-series lens. 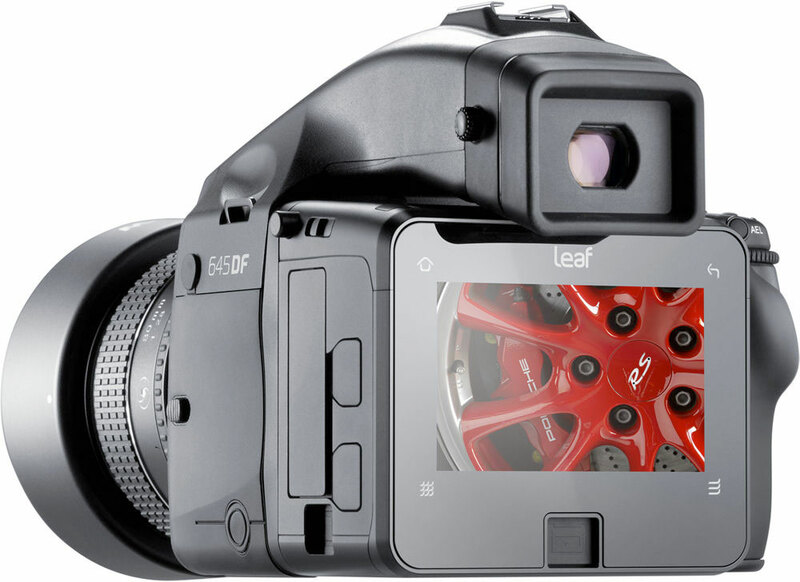 It contains a combination of Fluorite, UD, and Super UD lens elements, Ultrasonic AF motors, weatherproof seals all around, a two-mode image stabilization system, a rotating tripod collar, focus limiting and pre-set modes, MF override, and magnesium-alloy construction with carbon-fiber detailing. Designed for use with Canon’s full-frame and APS-C format EOS cameras, it has a minimum focus 19.7', and comes with a fitted case. Nikon’s AF-S Nikkor 800mm f/5.6E FL ED VR is equally massive and features dual fluorite and dual ED lens elements, an electromagnetic aperture mechanism, Silent Wave Motors with MF override, Nikon’s latest Silent Wave Motor image stabilization, Nikon Nano Coatings, and a rotating tripod collar. Nikon’s longest and fastest prime lens comes with a matched 1.25x tele-converter that effectively turns the lens into a 1000mm f/7.1. Minimum focus is 19.36', and a fitted case is also included. 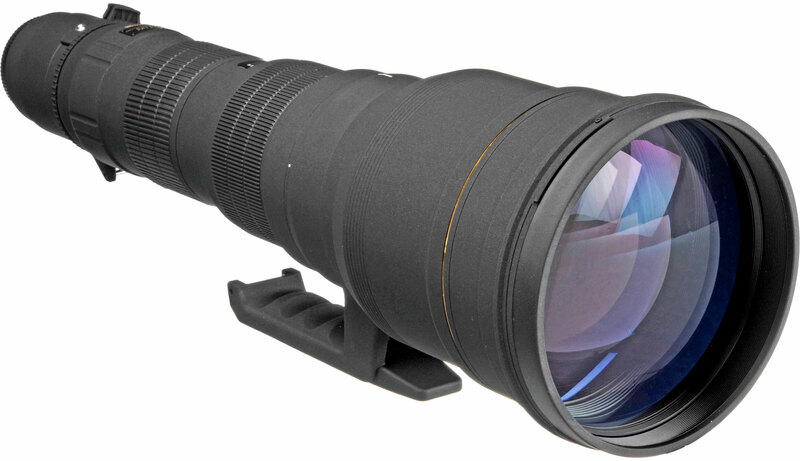 Less pricey but still expensive by most standards is the Sigma 800mm f/5.6 EX DG APO IF HSM, another optical wonder, which is available in lens mounts for Nikon, Canon, and Sigma cameras. Helpful hint: When hoisting any of the above lenses to eye level, lift with your knees, not your back. We don’t want you to hurt yourself. So there you have it; the best-of-the-best from the world of photographic equipment. The choices are yours. Operators are standing by. current prices listed alongside the items in the article. Even for those items out-of-reach, it is important to distinguish between, say, $9,000 and $44,000. examples of pictures produced with each of the items that show what can be done with it that cannot be done without spending as much as they cost. One buys a tool, presumeably, because of what it allows one to do. Showcase what each tool allows the photographer to do, please.